Mahatma Gandhi: He became the most popular for his Faith in a Nonviolent struggle. Swami Vivekananda: The Great Scholar and Inspiration for Millions of people. Sardar Patel: The Ironman, Freedom Fighter and the First Home Minister of India. B. R. Ambedkar: The Chairman of the Indian Constitution drafting committee and was the First Law Minister of India. Lal Bahadur Sastri: The Second Prime minister of India. Subhas Chandra Bose: The Freedom Fighter and the person behind “Azad hind Fauj. I have captured this photo of the great white egret/heron (As Leader) and Black-winged stilt (As Soldiers) at Rajkot, Gujarat, India. 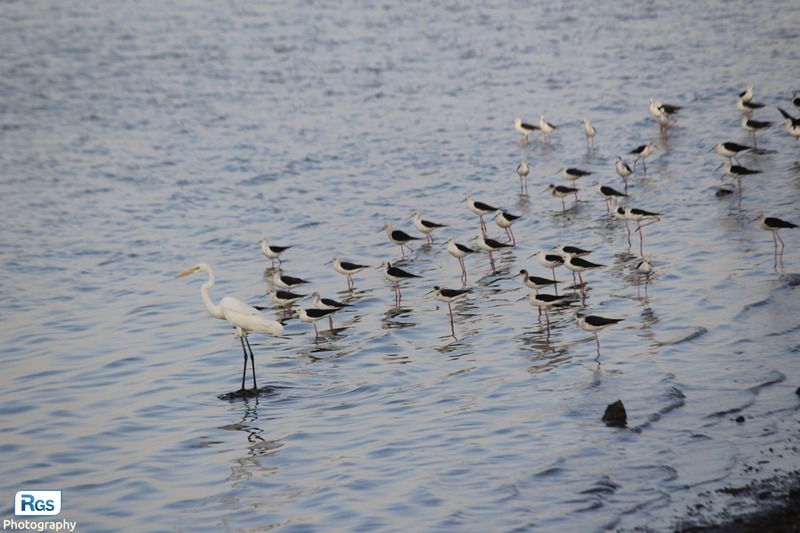 In this photo, The leader Great white egret and his Black-winged stilt soldiers seem to ready for the anything which will happen. Check it out my other bird photos from here:Birds Photo. Friends, if you like my click, don’t forget to share and subscribe. Any suggestions and review are most welcome and write it on the below comment box. This photo is captured by using Canon EOS 1200D. Thank you Mr. Ankit for reading and writing to blog. This is cool i like it.